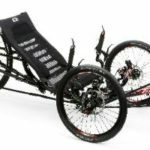 Catrike: Catrike’s 16 years of engineering and experience have come together to create the Dumont. 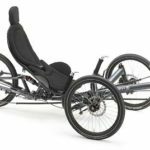 The rear suspension features a highly progressive travel path combined with a custom spring rate and sophisticated damping for a perfect balance of performance and comfort. The shock is actuated via a CNC machined swingarm pivoting on precision cartridge bearings to allow the suspension system to operate with seamless efficiency. 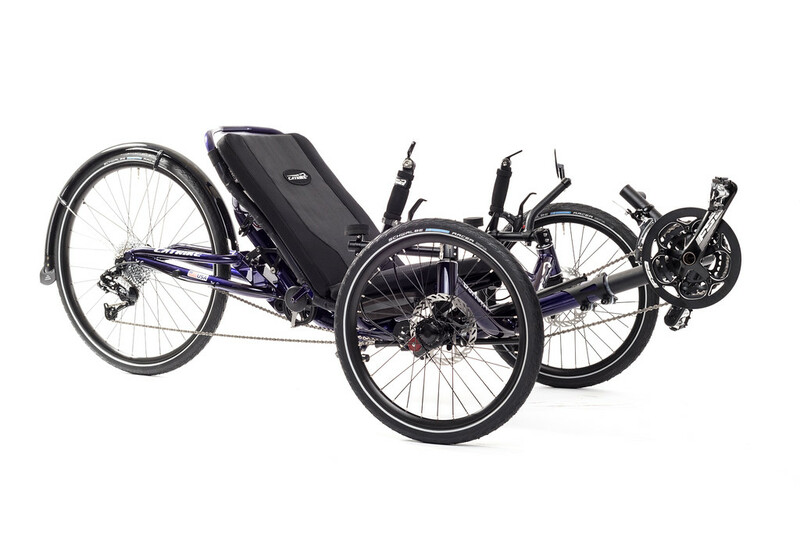 Up front, the Dumont employs Catrike’s anti-dive patent-pending front suspension spindle to take the edge off while allowing all wheels to move independently. The result is that the Dumont stays firmly planted on the ground with the active suspension. The long and low rider position and fully adjustable boom provide stable weight distribution needed for maximum performance while the ergonomic backrest is fully adjustable for the perfect fit. 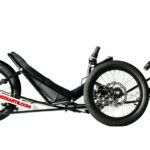 A 26-inch rear wheel and folding feature, round out the Dumont to provide the ultimate ride.